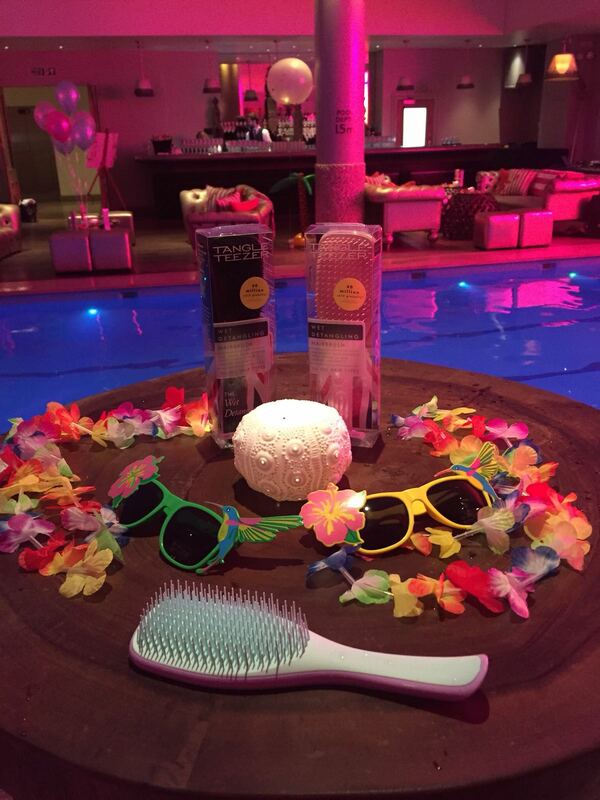 What better way for market leaders Tangle Teaser, to launch the new Wet Detangler hairbrush than to host a vibrant summer pool party at the luxurious Haymarket Hotel in London. With a high profile and influential guest list, Tangle Teaser knew they needed to raise the bar and secure some high impact and memorable entertainment to impress the crowd. Working with the brief of engaging the audience and showcasing the new Wet Detangler, Aquabatix set to work to create a show stopping routine that would excite the guests and compel them to share their experience on social media. 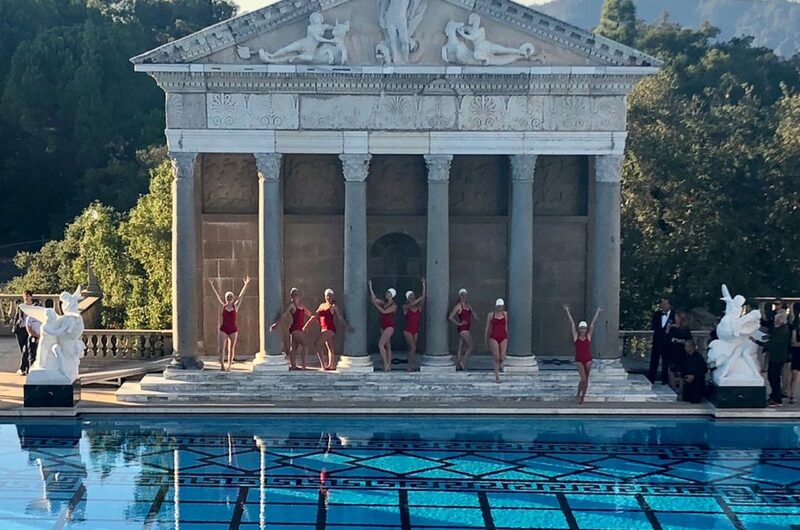 Performing to Beyonce’s iconic tune ‘Crazy in Love’, the synchronised swimming team from Aquabatix exploded onto the watery stage using the Wet Detangler as their prop. 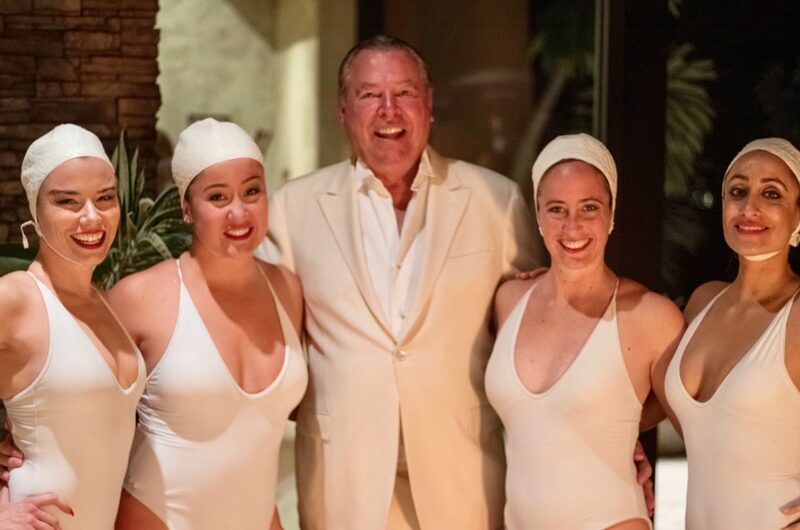 Showcasing their leaps and jumps and undeniable synchronicity, the swimmers captured the audiences attention and made them cheer with delight. Removing their hats after the performance, the swimmers walked through the crowd demonstrating the new Wet Detangler hairbrush and how effortlessly it detangles wet hair. The Wet Detangler is the newest product to be launched by Tangle Teaser and understands how to treat wet and fragile hair with expertise. With 325 unique teeth that flex over tangles and knots with every single stroke, hair is quickly detangled confidently whilst helping to reduce breakage.